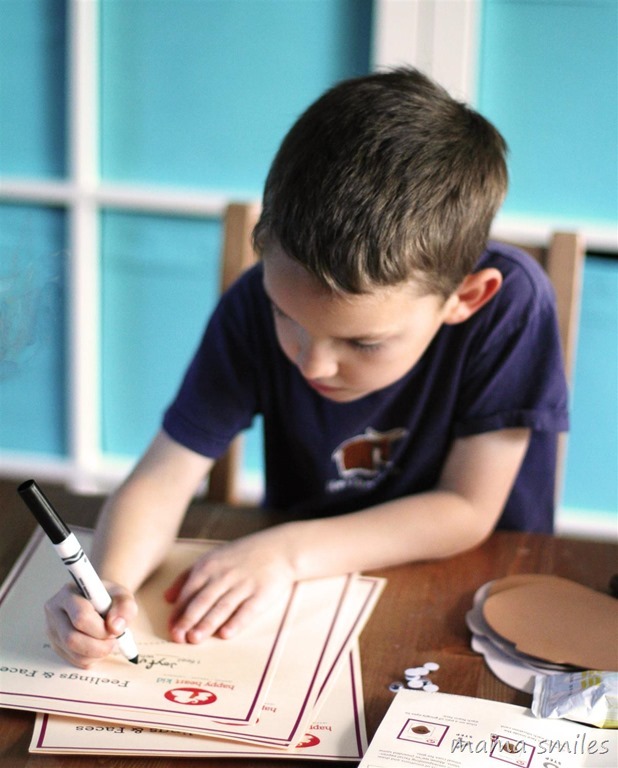 I find crafting to be an excellent way to spend time thinking, so I was excited to see Happy Heart Kid’s new crafty kits that focus on building social and emotional intelligence. We were sent their empathy kit to review, and my kids really enjoyed the activities that were included! 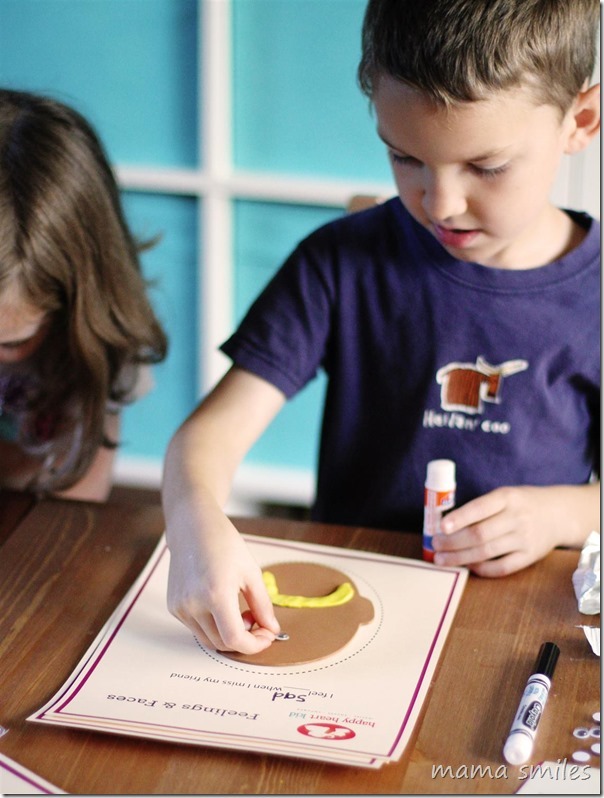 Teaching kids empathy (and other social and emotional skills) can feel more than a little bit overwhelming; this is a fun way to start talking about a topic with your kids! Our kit came with a short story that we all read together. The kids then split up the accompanying crafts. Six-year-old Johnny was drawn to the idea of making faces displaying different emotions to go with various scenarios. I thought it was sweet that he wrote that the feels joyful when he does well in school – and he thoroughly enjoyed using model magic for the different mouths! I thought it was kind of funny that the model magic they sent was yellow, but he didn’t care. 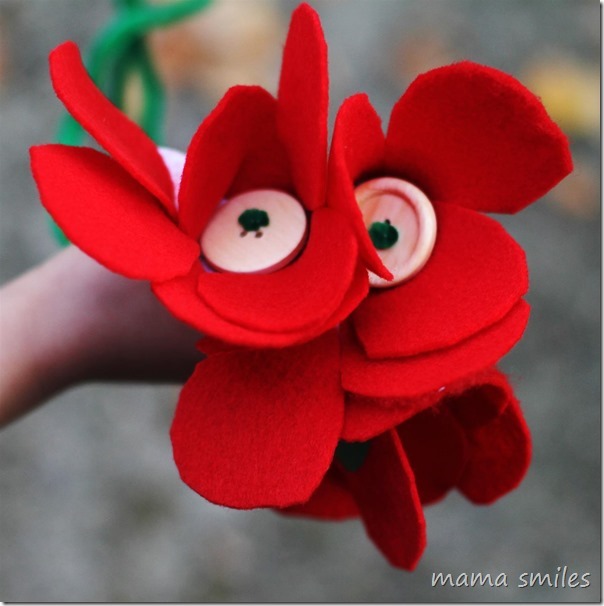 Eight-year-old Emma’s activity was to make these flowers to give to others. She enjoyed the craft, and I think that making gifts is a wonderful way to get kids thinking about others. 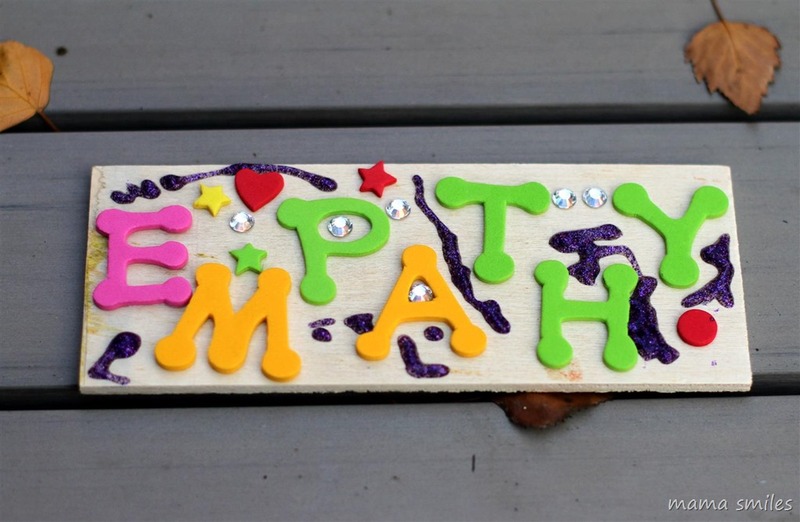 Empathy is a pretty abstract concept for a five-year-old, but Lily really enjoyed making this magnetic Empathy sign. I know that she will now recognize the word, both in writing and as she hears it, and that will help her learn more about empathy as she grows older. The kit supplies were well-organized, and the kids had everything they needed to complete the crafts. I was pleased to see that they included a range of skin tones for the faces activity. 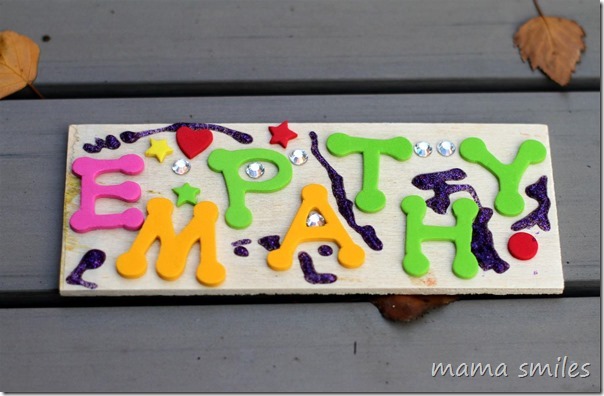 How do you teach your kids empathy? Does this look like a kit that your family would enjoy? Happy Heart Kid is planning an entire line of these kits, and you can help them get started by supporting their Kickstarter campaign! If you donate $100, they will send you their Manners and Empathy kits, AND they will donate a classroom set to an inner city school. Pretty awesome! 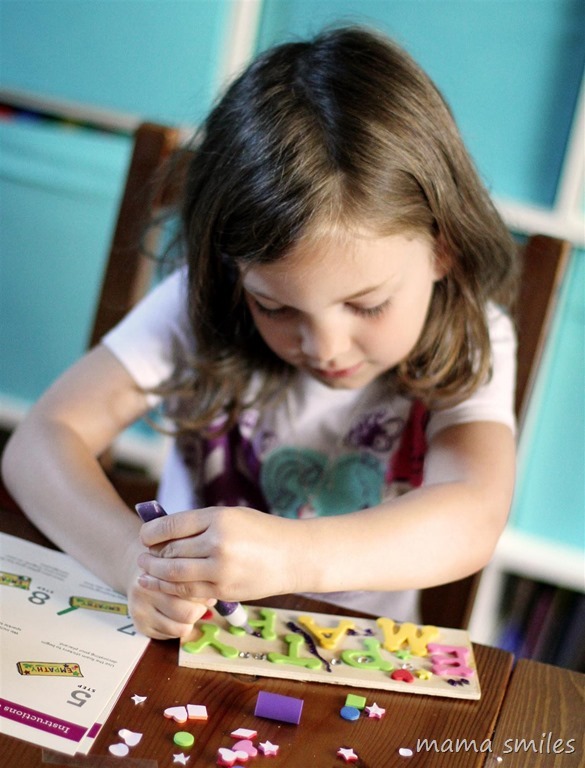 What social and emotional skills are you focusing on teaching your kids right now? What a great variety of activities! We just did a six-week course on manners, which the kids had requested and we all enjoyed. How neat! Did you create the course? What a lovely kit! 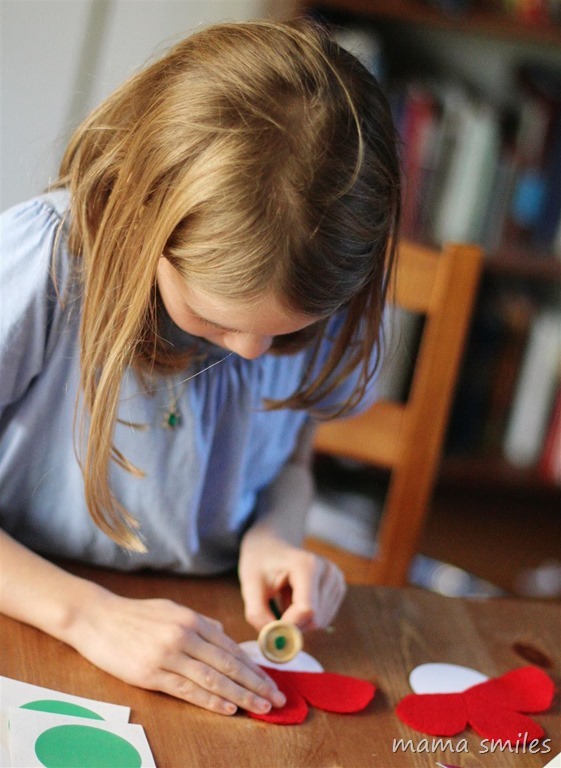 Your kids look really into their activities. We are currently working on ways to deal with worries and anxiety. That is something we are working on here, as well. Do you have the book, “When Your Worries Get Too Big”? I have to look into that book MaryAnne. We found ‘How full is you’re bucket’ was a great book to talk to one of our kid testers who was very anxious about certain school circumstances. We hope you like our product and consider pledging. Thank you. I have the book, ” Is a Worry Worrying You?” My daughter loves it! I should look for that book. It sounds great. It looks like a fun kit. I love that different kids picked different things to do with it. Sounds like a cool craft kit. I do like kickstarter campaigns. Which reminds me a friend of mine has a campaign going right now. I love kickstarter. What is your friend’s campaign? I love that this kit teaches social emotional skills! Thank you for all of you’re kind words. We truly hope our products are of service to families and help children develop crucial social and emotional skills that are so missing on our retail shelves today.